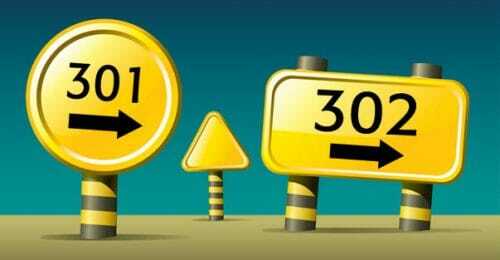 The difference between 301 and 302 redirect – Are you looking for the differences between 301 and 302 redirects? If yes, then you are at the right place. They both are types of redirects that are completely different from each other in terms of everything except they are redirects. 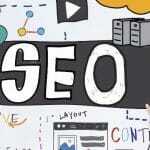 These both redirects are used in different situations in the SEO world. 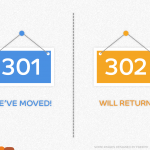 So, here we will discuss the differences between 301 and 302 redirects. To a user, they may seem alike but as far as search engines are concerned they are way more different from each other. Search engines sense the different type of redirects and help you find a page you are looking for. They are useful for the website owner if they are planning to move their website temporarily or permanent. 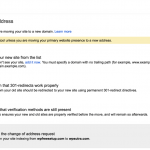 What is the difference between 301 and 302 redirects? These both redirects are different from each other if we talk about the search engines. If you have no idea about these redirects then here we will let you know about them and how they are different from each other. Below mentioned is the detailed information about 301 and 302 redirects. Scroll down to grab the information and brush up your knowledge. A 301 redirect is also known as permanently moved. This redirect carries and distributes in an absolute manner. This redirect is used when your website is permanently moved from the original location. You should use a 301 redirect to signify crawlers that you have moved from your old address. A 302 redirect basically means found or can be referred as temporary moved. This redirect does not carry a link or pass the link to the new location. It sure gets the user to an appropriate location instead of showing the broken link or error code. This redirect is helpful in signifying the users that you have temporarily moved to a new location and will be back soon. A 301 redirect should be used to permanently redirect your page or website. That means all kind of redirected pages will be passed on to detour page. The right application of 301 redirects will not affect various aspect such as page rank, page authority, traffic etc. to name a few. After the implementation of 301 redirect your page or website will be automatically removed from the search engines and will be replaced by the new web address. A 302 redirect should be used when you have temporarily shifted from the original web address. If you want to redirect your website visitors or customers to another web page planning to bring the redirected page back after some time then 302 redirect is the best for you. Unlike 301 redirects, this redirect will not pass on the qualities to the detour pages. Make sure you do not commit any mistake in redirecting your website because it can severely hurt your website. There are many reasons on why you should opt using these redirects. If your website has any of the following mentioned conditions then you really need to opt 301 and 302 redirects. Check them out. URL of the website is either broken or not working properly. The website needs to be redirected to a new domain. Your website is no more attractive now. If your website needs a design change. Two of your existing sites are merged into one another. Redirects are very important to let people know about your current or past actions. Had it not been the redirects, your website would suffer from a major loss of traffic, ranks and what not. Redirects let people know about your new web address and maintain the position and reputation of your website like before. These two redirects are extremely important both for the website owner and people. So, if you were not aware of the difference between them then I hope this might have been helpful for you. So, go ahead and use them right away if you are planning to make amendments on your website.